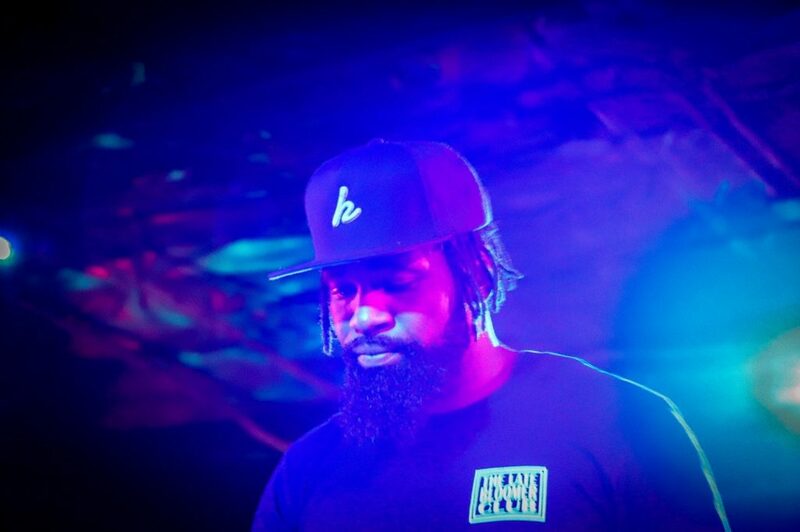 After being on the road for more than a week, Nickelus F and I left Chicago for the midwest leg of our tour and headed south to its final shows. After a short stop in Lexington, Kentucky for a pop-up show, the next day we found ourselves riding through the hills of eastern Kentucky, headed to a small city called Whitesburg: population around 2,000. Surprisingly, when the tour was first organized, this small Kentucky town was the first city to book Nick and I. Having never been to Kentucky for anything — let alone music, let alone hip-hop — I knew the tour stop was going to prove interesting. Watching the country roll through hills and windy roads, I kept wondering why people would choose to live in such a rural area. 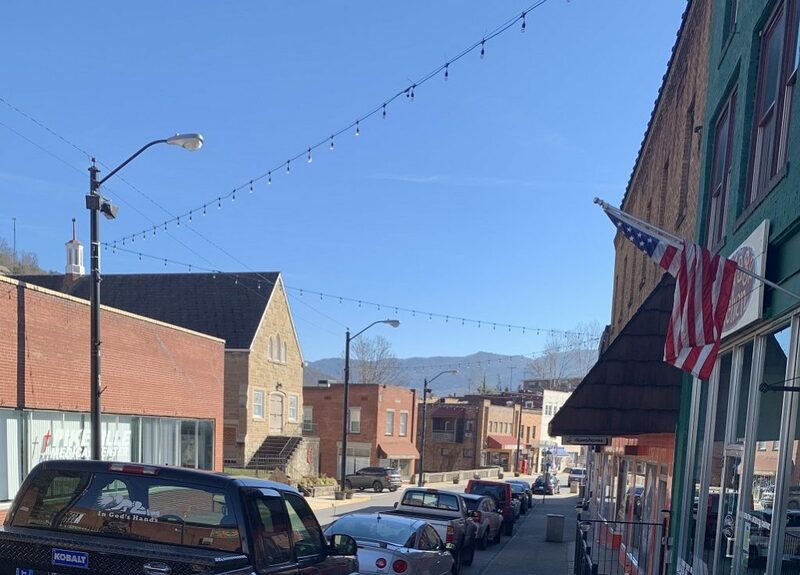 The closer we came to Whitesburg, the more I realized that normal city attributes like neighborhoods, shopping centers, restaurants, and gas stations seemed to disappear and reappear like mirages — harbingers of civilizations. This was offset by small houses dotting the countryside; in one of the valleys, we even found a Lee’s Famous Fried Chicken. I came to the conclusion that during our tour through the heart of America, I had finally reached the place that had triple bypass surgery. This place has been here long before me and Nick, and it will be here long after we depart. Maybe when everything goes up in smoke, Whitesburg will still be standing, among the rest of the small-popping cities of America. With almost no cell service, I began to look up Whitesburg. I learned that, of its population of less than 2,000 people, only one percent of that population was black. Yet, apparently, it was one of the most progressive towns in this all-red State. As if being in a city with virtually zero black people wouldn’t be interesting enough, our road manager decided to pull over at a local grocery store as we entered it. Wanting to see what type of time this city was on, Nick and I hopped out of the van, Nick pulling up in his dark sunglasses. None of us were prepared for what happened next. But first, let’s set the scene. Two black hip-hop artists from Richmond, Virginia, with long hair and nice clothes, just pulled into Whitesburg, Kentucky and walked into a very busy local grocery store with our black-haired, tattoo-sporting tour manager, Phil Shive. Know that scene in the movie when the record scratches, stops, and everyone turns to look? That happened. So quiet did the grocery store get, we could actually hear the generic music playing in the background, mixed with the sound of the sliding doors opening and closing — a weird silence for that many people at midday. Our check-out clerk tried to act as normal as possible, but it was clear she had never seen black people in her life before. I didn’t sense danger, and these people were not racist — they’d just never seen so much color in their small town. We might have been just as rare as the Fugate Family of Kentucky, who had indigo blue skin due to genetics. This was probably one of the most awkward five to seven minutes of my life — like the Fugates, I felt like I had blue skin (and horns coming out of my head). Walking back to the van, I think we almost caused a couple of parking lot accidents due to people rubbernecking our accidental trip to this store. Safely back in the van, we cracked up about the whole experience, but this made us even more excited to see what the show would be like. Our host, Tom Sexton — co-host of the Appalachian’s best-rated show, The Trillbilly Worker’s Party podcast — had a real fly spot: walls full of classic hip-hop posters, interesting books on his coffee table, movies. I noticed he had a big poster of Dr. Cornel West, one of America’s most prestigious black academics, on the wall leading to the bedrooms. In this moment, I instantly understood what they meant when they said Whitesburg was progressive. Maybe, I thought, this city would be behind the rest of us. But, nope, the rumors were spot on. For me, it was like visiting one of America’s lost cities. One that had never lost track of the world. I rolled a joint, and they walked us over to the building beside theirs where we would be staying. 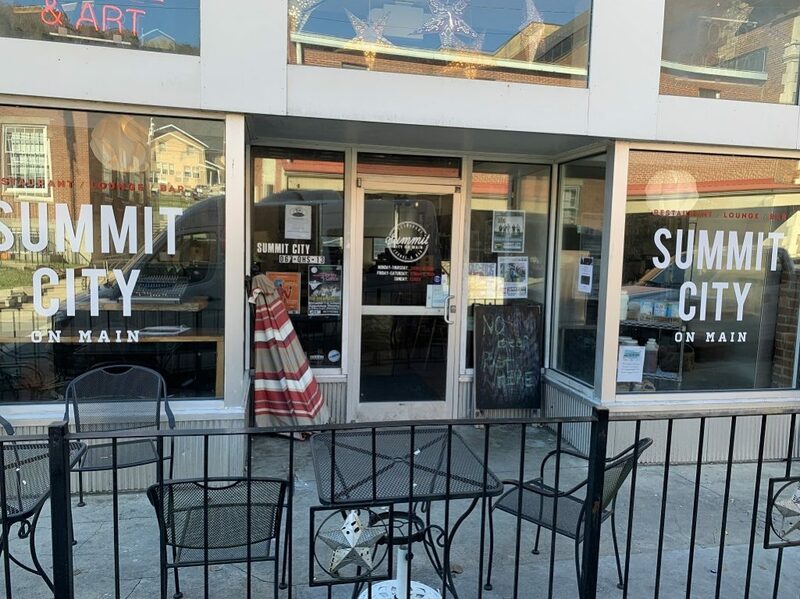 A couple doors down from our loft was the show venue, Summit On Main. We actually stopped there (and took five fireball shots) when we first pulled up to scope the venue. Talking with Tom, it was apparent that he was a well-respected person in the community, and he was excited for us to perform. This was more than just a random show for him. We heard there was a record store at the end of the block, and I thought it was strange that a town this size even had a record store. We finished our joint and walked over there. On the way, we saw big posters for our show in all the store fronts. “Yo, tonight’s gonna be fire yo, watch,” said Nick, nodding and smiling. We walked into the record store, Roundabout Music Company. One of the owners, Ben Spangler, was playing some old Wu-Tang records, along with some other deep-underground hip-hop records. Lacy Hale, the other owner, is a painter, and one side of the store was filled with bins of art supplies and paintings. Nick broke the ice by asking about some records. He ended up buying a few albums. We observed looks of slight confusion on both of their faces before we told them we were in town for the show at Summit. Then it clicked; we were the artists on the bill, and we were headlining this diverse bill in their city. After leaving the store, Nick and I took some random pictures and kicked it until show time. Naps are essential on tour, and sometimes they slow you down. We got to the venue a bit late and started setting up our merch tables. A short time later, we started meeting a bunch of locals attending the show. There were only two other black people there — a grand total of four, including Nick and myself. In Whitesville, we shared the stage with Lee Bains III & the Glory Fires and a few others. When it was time for me to go on, the whole crowd, previously spread out around the venue, pack into the front for our sets. I still couldn’t understand what connected Whitesburg to hip-hop, but it was clear, at least in that moment, that the music was bringing their town together. Of course, playing locations like Brooklyn, Philly, or Boston are super cool, but the most amazing part of tour is to have such a rare cultural experience in a new city. Sometimes it’s not about about the big cities with lights, but the small ones in the shadows of the country; these rare, remote places that give you a glimpse of a better America — not the one you expect when you recall the history. I wonder how many other hidden places around the country sit under the radar like this. And, hopefully, to more artists: consider Whitesburg the next time you sit down to plan a tour. 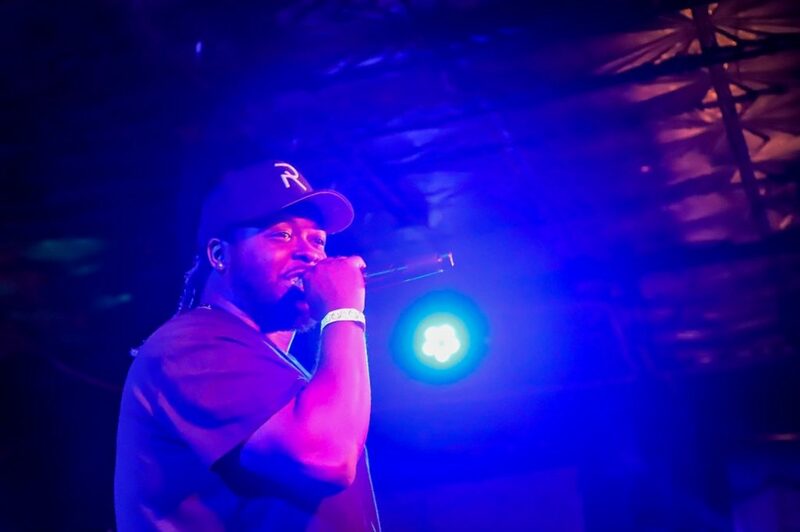 Michael Millions is a Richmond rapper and co-founder of Purple Republic Music Group. 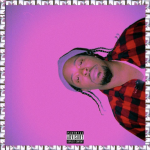 Stream his newest album, Hard To Be King, on SoundCloud at soundcloud.com/michaelmillions.